LASCO 07-0960 Plastic Laundry Tub Faucet, Two Handles, Chrome Finish. 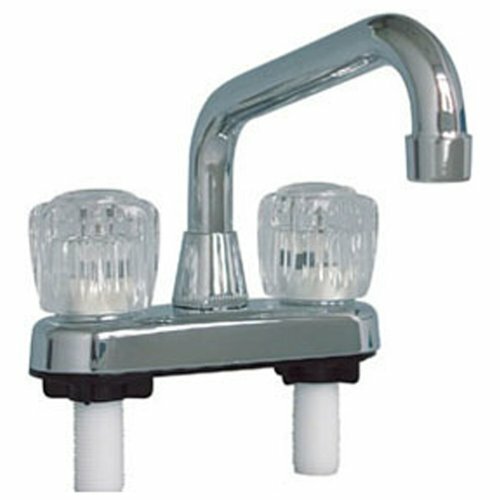 Non-metallic Laundry tub faucet with two acrylic handles. Two handle chrome plated non-metallic laundry tub faucet. Two round acrylic handles. 4-inch centers. Lead free product, meets California AB-1953, Vermont, and new federal standards for low lead applications.